CONGRATULATIONS TO MR. SPIKE LEE…RECEIVES HONORARY OSCAR! Congratulations Mr. Spike Lee… who has received his HONORARY OSCAR! THANKS SPIKE LEE…WE LOVE YOU! 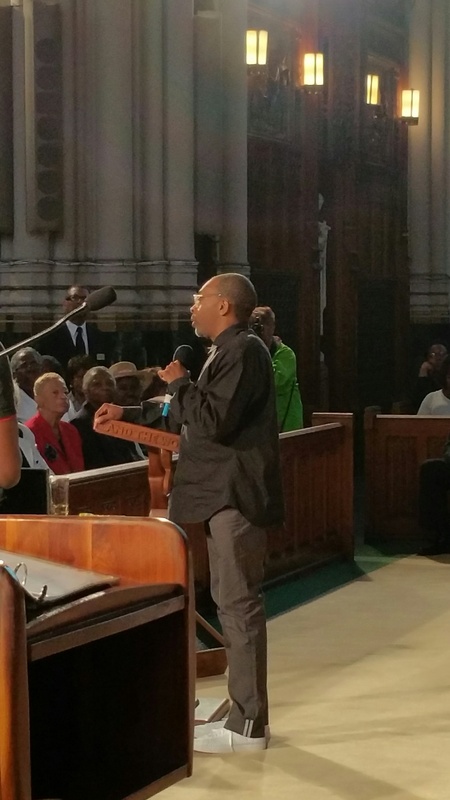 Everyone who knows me, knows that I love me some “Spike Lee”…I have another profound respect for him. He made it and he withstood Chicago’s “dirty pool”…. I was more than impressed with his posture and lying low and watching all that wanted to play the game…play the game. He understood what his craft was and stayed focused! I saw him to be a quiet man of study… Oh Yeah! He stayed on the wall… He is definitely a watchman! He also became an “HONORARY” MEMBER OF ST. SABINA…. Our prayers are with him as he goes back to New York! THANK YOU AND WE LOVE YOU SPIKE!!! THE WORDS EXPRESSED ARE THAT OF WRITER65 AND NOT OF PASTOR PFLEGER… Lets get that out-of-the-way to clear the air…so there will be no misunderstandings or miscalculation on who said what. If I ever needed God it’s now…and the truth doesn’t need any side boards. And I say this sincerely and in the truth. Before he ever came to Chicago, there is nothing I don’t support when it comes to Spike Lee. Yet, what I am about to share is “straight up and with no chaser”. It might anger some, and I might get a few likes but it’s okay what I am about write in this post. ITS THE TRUTH!!!! Growing up in my “School Days”… John Singleton and Spike Lee were on their way to be two very established popular film directors who the black and brown communities admired. When a movie was going to be premiered the gangs then…was just a ton of us got together to have the Spike Lee Experience. We loved his craft, his style and so forth,.. and I am nothing but a little taken back with all the shenanigans, the haters and all the performances here today. Mr. Lee, has come to Chicago go do a movie called “Chiraq”… I have never questioned his integrity on how the movie will be done. He does what he does… brings his perspective to mainstream America. He doesn’t need my input but he does need some insight about the lack of truth! Chicago opportunists are lack crabs in the barrel they all get together when the camera is rolling! It’s what’s behind closed doors that renders progression! I am not a Spike Lee groupie… I study what he does, I study anyone who is bringing something to my table or my front door. I don’t get up and decide that I need to be mentored by a fool all because the masses might scream their name or want their autograph. That doesn’t impress me one bit. I need to know what is his method to his way of revealing truth and being the truth, so I our land can believe for the healing process. One movie isn’t going to change the dynamics of Chicago but the movie can bring some kind of unity! I don’t get into impressions they are deceptive. People can present themselves one way and do the exact opposite when all the newness wears off. It’s always wise to wait to see what anyone is working with… who they are and what they respect come to the surface. I don’t have to smooth Mr. Lee’s fur and put on these fronts … because I know that the truth has a way of coming out where and what the real issues are … most are egos and the rest are serious Chicago challenges. Mr. Lee is still just a mere mortal and I respect him because he has a way of presenting the truth in another perspective and he is history maker in his presentation. He brings awareness and provokes the masses to think of it… this way! Outside “truth fighters” are always seem to be stoned with the persecution of not being from this town but will keep the deceptive in his or her placed in finest of pseudo-bliss of fantasy of we change it by just pretending it doesn’t exist! Jealousy with some… in fact, some Chicagoans are sheer cameras whores. I can’t tell you just how “thrilled” that he has arrived in Chicago but there is still the darker side. I am however, not surprised at the audiences the man has to get even when the cameras are not rolling. Ideally this is really how some “fakes” do it in Chicago. For whatever reason when someone comes from what they believe is the place of power and the elite. Here comes all this “showing off” people are more holier and some are actually believe he is a judge in the next American Idol. 1) Mr. Lee is going back home before the Fall and then I can expect that first layer of the masks will dissipate. 3)Since Spike Lee has come to Chicago monsters have personified in every way possible! What I am saying… Let’s see just how much different people are going to be after he leaves?…Lets see just how much we can assess the damages in relationships city-wide when we have to remain still will the plague of violence? I will agree with some critics here… I pray we don’t lose ourselves adding Hollywood to our resumes…instead of the fight that continues of the fronting and the division that is often. So, Mr. Lee has my apologies upfront because the truth will come before he finishes his movie…because it’s actually kind of crazy to us too and we live here! The words express are that of Writer65 and not of Pastor Dr. Michael Louis Pfleger. I am a very quiet person in nature, but I am blessed with another level of eyesight that only God can give you. When something has to be said I don’t have to wimp out or ride out tom foolery. I don’t offer my opinions just like my appendages they belong only to me therefore they are not necessary. The truth is more important than anything! 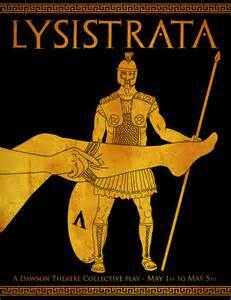 I am not afraid to go toe to toe with what “Chicago” calls the greater elect or best talking heads and supreme liars. I have nothing to lose. 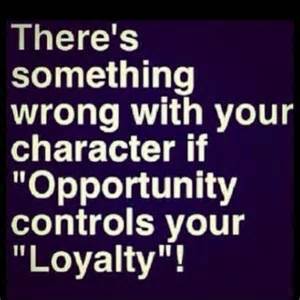 At end of the day, my name is very important along with my character and integrity. I don’t have to sell my soul to devil nor get between the sheets with people. Dumb down to be seen… or get in anyone’s pocket. My occupation isn’t a smoother fur operator and a tail kisser. I am not offended when people look over my blog based on Pastor Pfleger’s face or he being Roman Catholic. Don’t think I don’t get opposition based on he being a Catholic, white man and living in Urban atmosphere. Everyone can’t take my straight forwardness. So, in turn I am not for you… I am no-nonsense! I am not for sale… I am who…I am. When you are truth tellers many people will hate you and or turn on you because what you bring life the sword of the truth it will cut on either side. No matter what denial in merely a block and hinders progress. Some people refuse to deal with the truth for some it might take days or few years but for some it rides out on a life time. I don’t infringe my love for Christ on anyone… It is my witness that people would come to know,, My mouth can say anything it is when the church doors are locked and I am on a highway near you. The real person is revealed! Often times I ask God what good are cameras because there are some will find fault and see no wrong no matter what is given before them. It’s not what I pretend to be when everyone isn’t looking it’s what I know that is rotten inside of you. Some of us know the dirt and seen the dirt but wont rock the boat because it might alert the bigger monsters in Chicago. The fault finders/complainers/ double minded/ and the split tongues. It all depends on what they are getting out of it. You want to see some cut-throat, and some low down people opportunists… try some of the fake activism. No wonder the community is ignored … Lets be honest, you see very little community interest. Half of these so-called activist in Chicago have angles. Which angle is what you have figure out. Some sell-outs might stand behind the police department. Yet, I give heads up to Chicago Police Department Supt. Garry McCarthy to proceed with even more caution. All activists are not created equal. Remember they appear quiet they undercover dividers and rebel- rousers. Keep looking and if cameras and big wigs are available they are posted up like corner store hustlers. Personally, I have no axes to grind, Ministerial I have an obligation to get the blood off of my hands . No matter who you are … the truth is on my watch and apart of my watch… I am to share not what I think but the truth and what I have experienced in GAME. You see, everyone isn’t up for sale! THERE ARE PEOPLE CHICAGO ISN’T AWARE OF HEROIC ACTIVISM. They are not trying to make a name for themselves but they love Chicago and the community undernourished … THEY OPT OUT ON THE CIRCUSES AND THE SIDE SHOWS FOR POSITIONS AND OPPORTUNITIES. We see the foolishness and folly to chase the money and or the popularity. I pray that all of us get what the real assignments are AND LEARN TO UNIFY! Getting in front of a camera isn’t that hard for me if I choose to take that route. I got a few good camera shots left. Honestly, I have no problem staying out of the lime and lemon lights. I have seen people who started out with great intentions… Next thing you, know they have forgotten what brought them to this place in the first place. I agree some are better served in front of the camera but we see the suckers that fall victim to being popular. You’ve seen the dissipation of the mission being aborted with the thirst to be well-known. Being articulate helps and also, knowing when, I should open my mouth should be . Check your hearts and with some it’s personal! I have longed stopped trying to convince the people to separate fickle human emotions with what the truth really is. What is so amazing is the lack of balance when it comes to just simple reasoning. Christ had his critics. 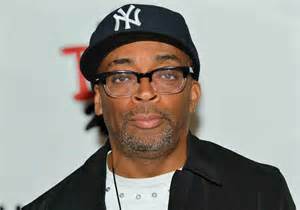 Mr Spike Lee had set a firestorm in motion in Chicago based on what? Some people believe that are in a war zone. This might not apply to every Chicago residents it depends on where your reside. Stamping labels on the city I doubt it. Bring in all the talking heads with their mental health assessments. Unless you live in the life of “safe passage” be careful of saying that Mr. Lee’s movie will minimize Chicago. Al Capone and other none gangsters even in the questionable politicians who rode on the back of the impoverished people of color. There are no gang wars in the Loop…Yet? I love Chicago I was born here and I a come from a very large family on both my parent’s side. Chicago is Mecca that has survive even the most degrading storms. Every day the media is posting statistics, every murders and nothing is wrong with that … What seems a little hypocritical it’s called freedom of speech until Mr. Lee had selective interviews. Let’s cut Mr. Lee some slack. We have no idea on how he is going to do his spin on Chicago. Chi-Raq was a term I had gotten hood educated on when a I purchased a very good painting by a Local Artists. The term has been around for a minute. It was then I had to get a grip on how some Chicagoans see Chicago. 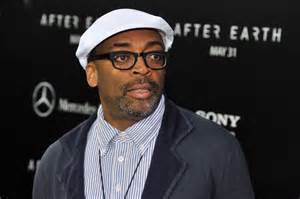 Whether Spike Lee… use the term OR NOT … I am almost sure he will add tactful information along with the film . If there will be film? I am detecting that the real root of some of the critics…might be jealousy? What money, hello there is no film as of yet? Wisely the best assessment might be seeing the film and Spike Lee sharing what the film will be about. . What stigma Chicago can’t live down? Before there was stop the violence… Violent Chicago had well dressed criminals…called mobsters. Mr. Lee just might put the fears to rest and get the assistant we need to exposed the problems and Chicago might be the conduit for all urban settings. Until there is gripe… please find a legitimate one! Mr. Lee is a genius in Cinematography . What I believe to be a very well-educated, a thought provokes and a lover of Social Justice…. He has always been one who presents the truth in raw form, I expect nothing less! And no I am not on the payroll, neither am I trying to break out in show business. I am just someone is genuinely concerned about well-being of all of God’s people. You can try to present another side to the truth and trust me they will have something to say. Chicago is my home base and skip stereotypes but we must be honest. Nothing pangs us more than the invisible thugs and troublemakers for truth tellers of justice! Chicago is also known as the Windy City for the corruption and long-winded liars of politics but even without the politicians there is still Lots, lots and … Lots of wind!